Even if some are better than others, almost every game has one, that final sequence that aims to test all of the skills you’ve picked up throughout the duration of the game. When you and the final boss square off against one another. Final battles are supposed to tie up a game and deliver the most challenging experience a game can offer, or that the very least form the conclusion of the game. Even if they’re not the ultimate test of skill, they should at least culminate in something worthwhile, something epic. With that in mind, these are some of the most epic conclusions to games we’ve played in recent times. As you face off against Xemnas for the last time, the battle task you with jumping across crumbling buildings, riding a Heartless dragon, which flies around a lot like a jet, and finally enter the throne. Weirdly, however, you’ll find that dispatching the Heartless guarding the throne is a fairly trivial task, but why is that? This is a Square Enix game after all; it couldn’t be that easy. Of course it’s not over. The next part of the battle sees you skydiving downward towards the final boss as you do all you can to avoid projectiles and deal damage, but that’s not the end either. He then pulls you into the realm of darkness as you finally face off against him for one last time in a classic Keyblade battle. Sora and Riku combine their power to end Xemnas once and for all; this, after over 30 minutes fighting. Kingdom Hearts II’s final battle was beyond epic as its scale and intensity was beyond measure. Its soundtrack and set pieces definitely left a lasting impression on players. Onimusha was one of the best ninja games on the PlayStation 2, and when you reached the final battle in Onimusha 4: Dawn of Dreams, you face with one of the series’ biggest set piece battles, the battle against Fortinbras, the God of Light. The game in general has some rather epic battles, but this final battle took the cake as Fortinbras faced off against you with his true form, a dragon like snake with some rather big wings. After a clash between you in your Ultimate Onimusha form, Fortinbras then transformed into his human form and took to the air as he tried to bring you down with some rather flashy attacks. Fighting wisely and with the right companion, you managed to take him down for the last time and watch him crumble into nothingness. I know, an “epic list” of anything is not complete without the addition of Sephiroth, and Final Fantasy VII really brought the battles of all battles when you faced off against Sephiroth at the end of the game. First off, you have to take down Jenova: SYNTHESIS, then comes Bizzaro: Sephiroth. 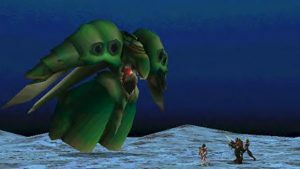 Both of these battles pit you against a creature-like version of Sephiroth, that is until you kill them and confront Safer: Sephiroth, the one-winged angel. This is probably the hardest part of the battle as his attacks almost insta-kill. Regardless, with enough preparation and these days, YouTube videos, you could take him down. After the battle against Safer: Sephiroth, you then go one-on-one against the true Sephiroth form as the final battle in the game takes place. The entire battle was rather epic as it not only required great skill but a deep knowledge of the party members that you decide to take in with you. Not to mention the final part of the battle where Cloud and Sephiroth face off in a duel in the darkness. Oh the memories! What could be more epic than a final battle against 4 versions of Sephiroth? A battle against Bhunivelze, a God himself, or herself; I’m not too sure about it just yet. But what I do know is that the final battle against God in Lightning Returns Final Fantasy XIII takes around 30 minutes to complete, so it stays true to the Final Fantasy boss scenarios that we all love so much. There are multiple forms that you need to take on during this battle, and as the battle plays out, Bhunivelze looks increasingly epic. He goes from wielding a double scythe, to attacking with his oversized wings. 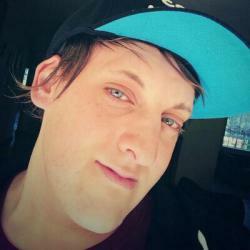 In his final form, however, he relies on magic more than anything else. What waits for you after all of the flashy combat is probably one of the best cinematics that has ever graced a Final Fantasy title. It shows Bhunivelze finally destroy the world and Lightning and her once party members stand together to stop God once and for all. 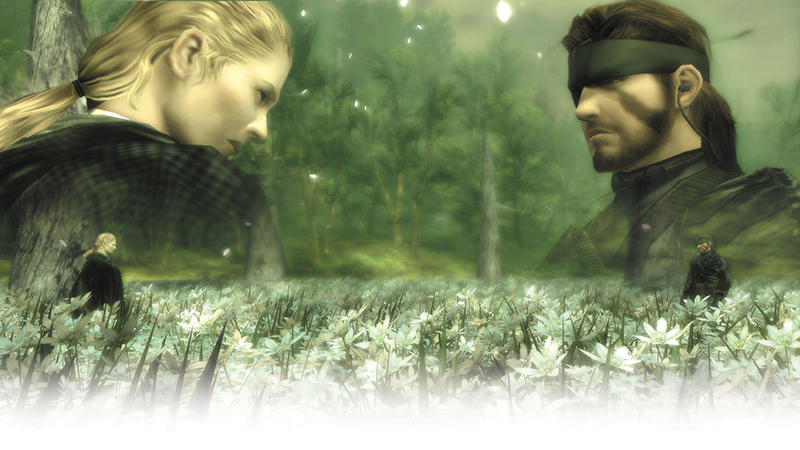 Take Snake, a field of lilies and The Boss, and what do you get? One epic final showdown at the end of Metal Gear Solid 3: Snake Eater. Somehow, the setting seemed like it belonged in a samurai film, but it worked as you had to use your skills to take cover behind logs and between the flowers before dealing damage to The Boss. It was slow battle as you shot at her in-between running for cover, and rinsed and repeated a few times to take her health down. That being said, it was a tough battle because when The Boss got you in her sights it was difficult to get away from her again. After it all ended, the cinematic that followed made it all worth it as you watched The Boss’s life fade from her body and the lilies turn red. What final battles do you remember to being the best you ever experienced? Let us know in the comments and forum.